Your day starts by getting dressed in the bedroom. Make it an enjoyable experience! 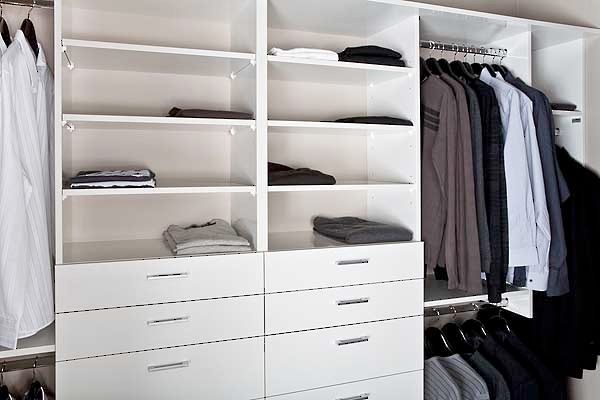 Walk-in wardrobes are the perfect solution to organise your clothing and shoe collection. You feel more professional and better presented. 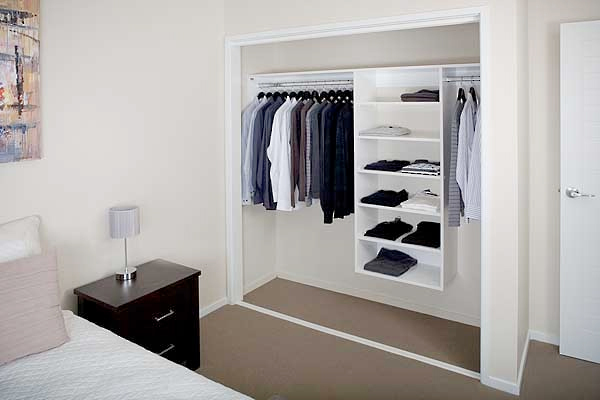 Your entire clothing wardrobe is visible, allowing you to make better daily decisions. 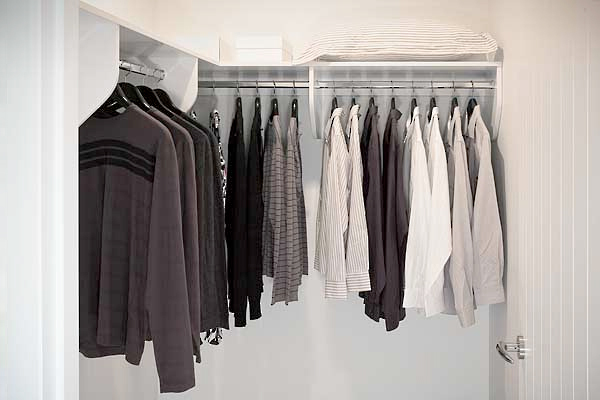 Clothes are stored neatly and stay less creased. 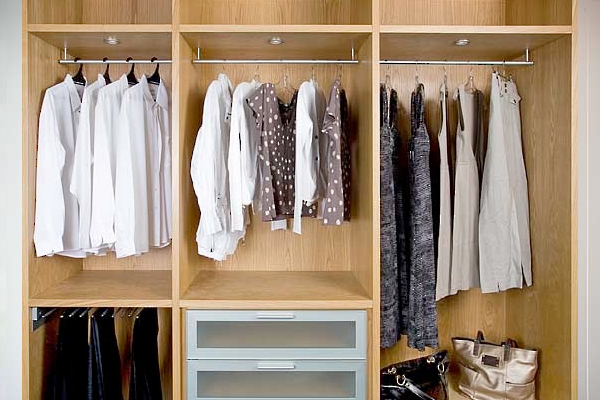 Maximising the use of your storage space allows you to have more clothes to choose from. Everything fits in with room to spare – I’ve co-ordinated it (as you would expect) and it looks stunning. It’s my favourite room in the house. 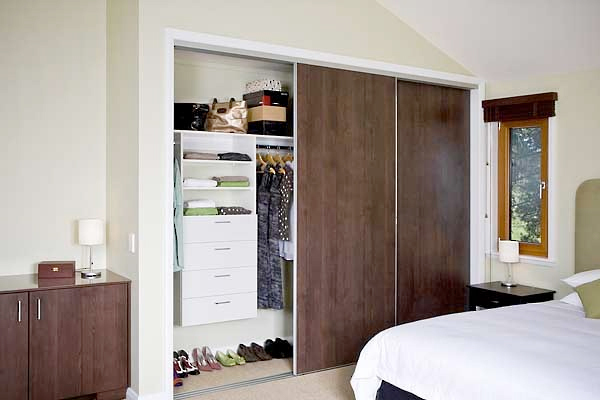 Having a walk-in wardrobe could not be easier. When you contact Re Space, we visit your home, measure the space and ensure that we understand your requirements. We generate a detailed visualisation using computer software that allows you to see what the installed wardrobe will look like. An installation price is also provided at this stage. Once the specification is agreed, a mutually acceptable installation date is scheduled and your wardrobe is then manufactured and installed. You can then enjoy your new fitted walk-in wardrobe with the security of Re Space’s 100% unconditional satisfaction guarantee.